M&TP111-PRIME COMMERCIAL LOCATION, LOCATION, LOCATION!! M&TP111 is a newly remodeled 1100 sq ft commercial building on one of the busiest corner locations in Westcliffe. This great business building is located on busy Highway 69 and sits right on the corner of one of the best accesses to the National Forest--Hermit Road. A popular gas station and Subway sandwich shop is directly across the road, so there is a lot of traffic all the time going by this building. If you want high visibility for your business, come and check out this great property. The building has 4 office spaces, a nice kitchen/coffee bar, bathroom, stone fireplace, hardwood floors, and has a great Colorado "rustic" feeling inside. 700 sq ft of storage in the loft area. 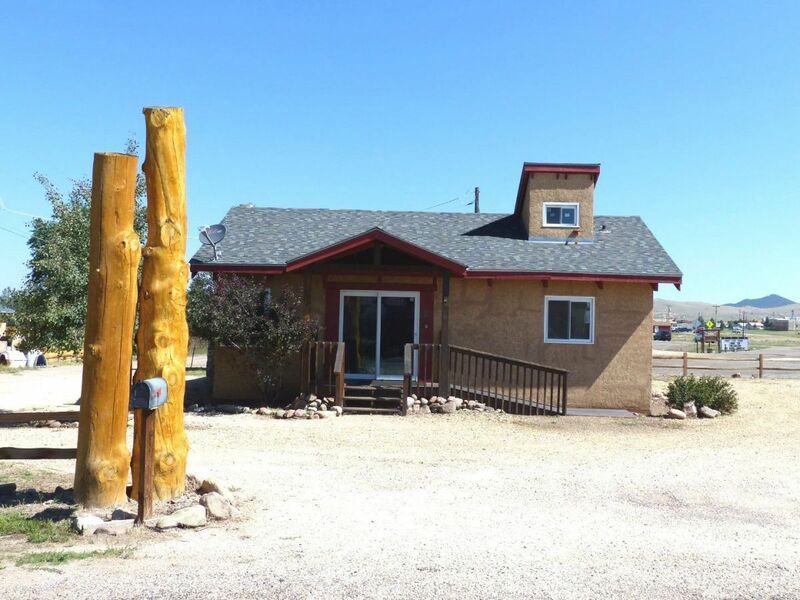 The entire building has been remodeled top to bottom and is in great condition-just move right in and get your business a great start in beautiful, scenic, Westcliffe, Colorado. Lots of parking space also. Listed at $169,000 for a fast sale.